Former stumper Farokh Engineer believes that the India skipper has the potential to be the greatest batsman produced by the country. 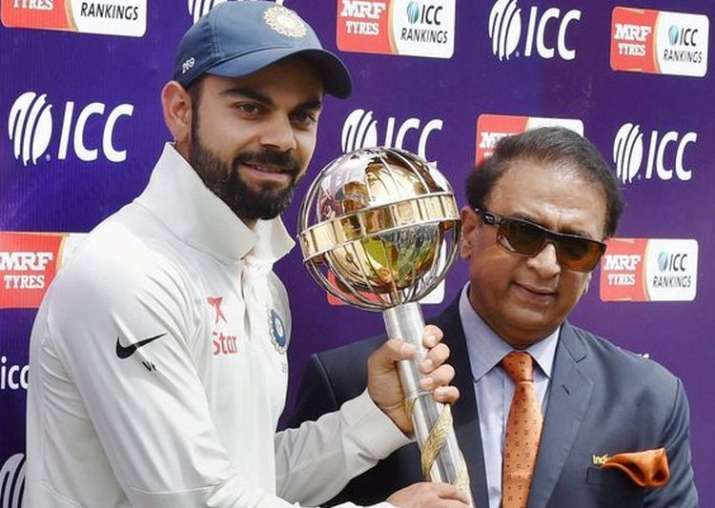 Virat Kohli has buried the ghosts of his dismal 2014 England tour by scoring heavily this time around and former stumper Farokh Engineer believes that the India skipper has the potential to be the greatest batsman produced by the country. "I see him (Kohli) going all the way. I see him (as) one of the greatest batsmen India has produced. In every generation, there is someone. There was a (Sachin) Tendulkar or a (Sunil) Gavaskar. And this is Kohli's era. And he (Kohli) has all the penitential to be the greatest. He has got the potential to be greater than Sachin and Sunil," Engineer told reporters on Wednesday. "But lets not call him now, let him get to that milestone, break those records and then we will call him that," added the former flamboyant stumper-batsman. Kohli has already scored two hundreds in the first three Tests against England and his 103 at Nottingham helped the team win the third Test and reduce the series deficit to 1-2 in the five-match rubber. "Look at Virat Kohli. He had a miserable tour of England last time he played there (in 2014). And his confidence was really low. But Virat is such a fighter and he said to himself - I am the finest batsman in the world and let me prove it. Not only on Indian or Caribbean wickets, I am going to get runs in England too," said Engineer. "And my word, he has batted so well. And he set a great standard for the team, (saying) 'if I can do it, you all can do it," added the Mumbai-based former cricketer. Kohli has, thus far, won the personal battle against English pacer James Anderson, who had troubled him in 2014. Engineer said he was impressed with how Kohli has played against Anderson. "It has impressed me immensely, because the way Virat has converted those unplayable balls into playable ones. The way our boys played at Trent Bridge (in the third Test), I am proud of them and Virat Kohli set a wonderful example there," he said. Engineer, along with former India wicket-keeper Syed Kirmani, heaped praise on young stumper Rishabh Pant, saying the young Delhi stumper has a bright future. Pant made his Test debut in the third match of the five-game series in England replacing out-of-form first choice Dinesh Karthik and had a good game behind the stumps. "He (Pant) showed immense promise and his reflexes very, very good, especially the catch he took behind the ball moving. That itself tells you how much the ball moves in England, both in the air and off the pitch," said Engineer. Engineer, a regular in the India squad of the 1960s led by the late Mansur Ali Khan Pataudi as a flamboyant keeper-batsman, felt Pant's work behind the stumps reminded him of his own younger days. "(MS) Dhoni reminded me of my younger days. Rishabh Pant also reminded me of my younger days too. Pant has a very very bright future," the 80-year-old Engineer told reporters here. "He (Pant) is a very talented player and I have seen him playing IPL. But playing IPL on our wickets and playing Test cricket in England are two different things, so he will have to adapt himself. He will do well and he has got the talent for it," added Engineer. Echoing similar views, Engineer's successor in the national squad, Syed Kirmani, too believes that Pant is a player for the long haul. "He (Pant) is talented player and he has been picked to play for India at the right time. And his confidence and approach is magnificent. He has a lot of talent and also in Prithvi Shaw (picked as opener for the last two Tests). "I feelRishabh Pant is a player for long run," said 68-year-old Kirmani. The two former stumpers were in the city to pay tributes to former India skipper Ajit Wadekar at a condolence meeting organised here by the Board of Control for Cricket in India.